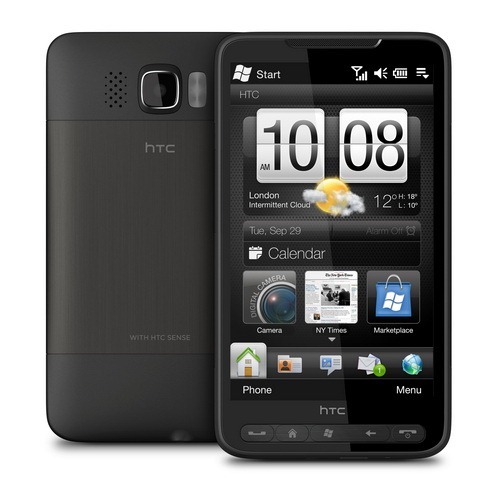 One of the things I miss most about the default HTC HD2 home page is the animated weather (below) that the HTC Sense interface provides. Not only is it pretty but it’s intelligent, using GPS to find your location and GPRS/3G to download the local weather conditions and forecast. Spb Mobile Shell 3.5 does have a weather gadget but it’s not as comprehensive as the HTC version: it doesn’t include Anstruther, St Andrews or Selkirk. Instead I have to rely on the ‘nearby’ forecasts for Dundee or Edinburgh, which are just not accurate enough. so you should hopefully be able to include most places you’d want; the application claims to provide weather for 50,000+ locations worldwide. I certainly found Anstruther, St Andrews and Selkirk using AccuWeather. I never worked out where there is a limit to the number of towns you can store at once but I’m delighted that I can easily switch between my usual three. The application comes in two versions: free and pro. 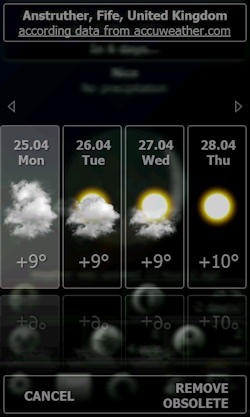 The free version provides an animated weather forecast for the current day only. For US$9.98 you can upgrade to the pro version which gives you a detailed daily forecast (morning, afternoon, evening and night) as well as a more complete, seven day forecast. While running the free version you can trial the pro version for 14 days. Touch Weather runs on anything from Windows Mobile 5 PocketPC and Smartphone to Windows Mobile 6, 6.1 and 6.5 Classic, Standard and Professional versions. Typically the data download per location has been around 180 KB which shouldn’t cost too much on a GPRS/3G data connection, and you have complete control over when and how it updates: manual or scheduled (every 30 minutes, 1 hour, 2 hours, 4 hours, 12 hours or 24 hours). One really neat feature is the ability to customize the background. 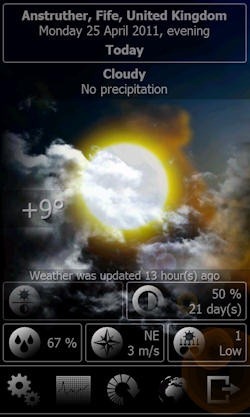 Touch Weather comes with six built-in panoramic images, and the option to use one of your own. This appears to be set per location. So, in theory, you could use a photograph of the location you’re pulling in the weather forecast for. 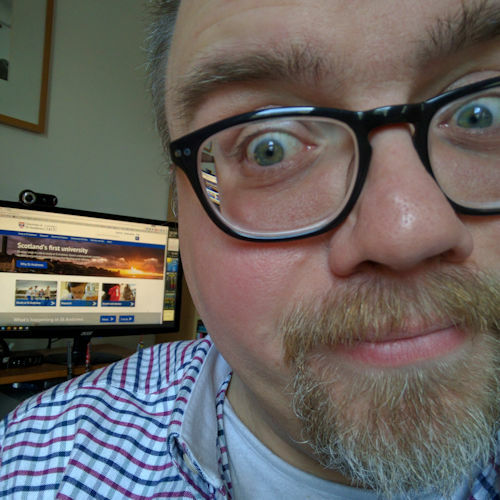 Looking at the six default panoramic images it would appear that dimensions should be at least 800 x 480 pixels, although the largest is 1600 x 1200. Here’s a video demo on YouTube of the interface, albeit in Russian. While Touch Weather doesn’t show itself on the phone’s home screen, or integrate with Spb Mobile Shell, and it doesn’t use GPS to automatically determine your location such inconveniences are a small price to pay for such a beautiful, customizable weather forecast application. I’ll definitely be upgrading to the pro version when my 14 days trial expires. Looks like there is a version for Android now too.